FabFitFun was always one of the subscription boxes on my bucket list. The $50 price tag always held me back, but after seeing the amazing items in the Spring 2017 box, I couldn’t resist! While some of the items vary per subscriber, a few items are guaranteed in each box. Box: FabFitFun is a quarterly lifestyle subscription box. 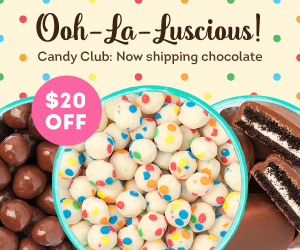 Use coupon code Fab10 for $10 off your first box! Contents: At least $200 worth of the hottest products selected by the FabFitFun team. The box includes not just a pamphlet of information, but an entire booklet! These earrings are made with Swarovski Crystals and rose gold plating. Subscribers were given either these earrings or a cuff in their box. This set contains 4 sheet masks, and is said to help moisturize dull, dehydrated skin. Uhhh yeah, need to put one on ASAP lol. To be honest, this was one of the main items in the box that completely sold me on the subscription! Round beach towels are all the rage right now, and I thought one of these large, boho tie-dye ones would be perfect. The fabric is really rough on the skin, but seems good for the beach environment in terms of the sand and water. This includes a liquid lipstick, lip gloss, and lip liner. I love the self-love quotes they have on the packaging and the products. This item isn’t supposed to count towards the value of the box (for whatever reason). I’m trying to get my hair to grow out so hopefully these help. My nails have been looking good though, and these actually taste REALLY good – No vitamin/medicine taste at all! My hair often is dry and completely damaged from too much dye jobs, so I’m always in need of some conditioning spray. This also has no sulfates, silicones, and parabens. This was an amazing item to get in the box! I’m a big fan of Dr. Brandt products, and to get something of such high value that I might have picked up in Sephora blew me away. This was surprisingly, one of my most favorite items in the box. It’s so practical, smells great, and provided some much needed exfoliation for my skin. I was surprised with how much washes it provided too – there’s a ton of soap in there! Final Thoughts: Wow, what an extraordinary subscription box! All the items were of high quality and great value – this box was worth a whopping $371, which if of course just bananas! I liked how some of the items were practical, such as the body buffer and vitamins – I could start using those items right away. I also loved the non-practical beauty items that are going to be great for summer, such as the beach towel and the ‘Beach Please’ zip pouch. I can see why this subscription is so popular, I’m an instant fan! 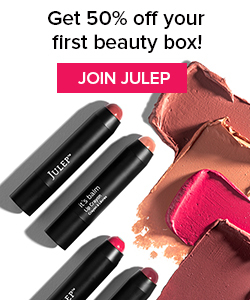 Sign up for FabFitFun here!